Shop Yamaha HS7 6 and a half Inch Powered Studio Monitor from AMS with 0% Interest Payment Plans and Free Shipping. 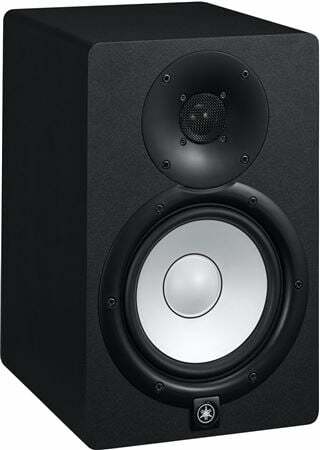 The Yamaha HS7 Powered Studio Monitor was designed as a true reference monitor with exceptionally flat response. The 6.5 inch cone woofer and 1 inch dome tweeter makes the HS7 the perfect size for many home and professional studios, providing fantastic flat response and plenty of volume. 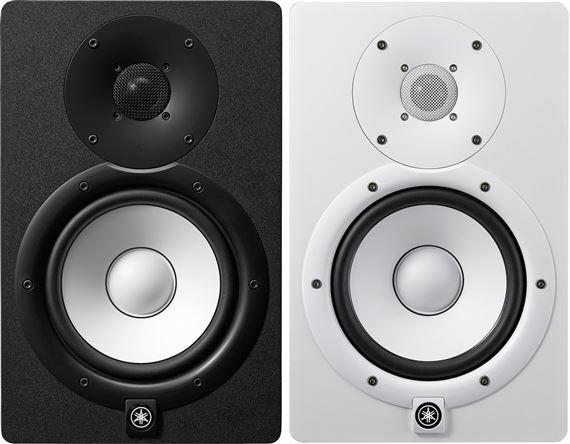 Features like Room Control and High Trim adjustments make these active reference monitors from Yamaha extremely flexible. 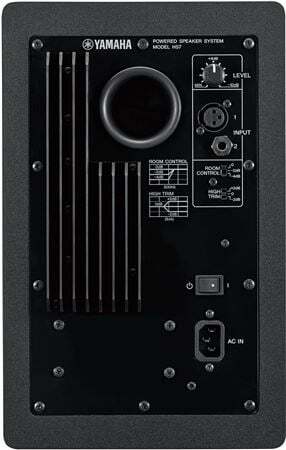 Accuracy should be the prime consideration when selecting reference speakers for music production. Speakers that sound ‘good’ on first impression may not necessarily be accurate. What you really need is an honest reference for your mix, rather than monitors that have been tweaked or colored to deceptively sound impressive. 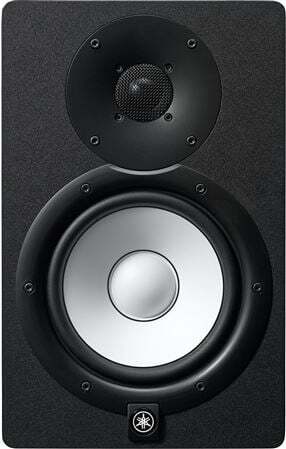 Yamaha designed the HS7 studio monitors to deliver exceptionally flat, accurate response that you can trust. 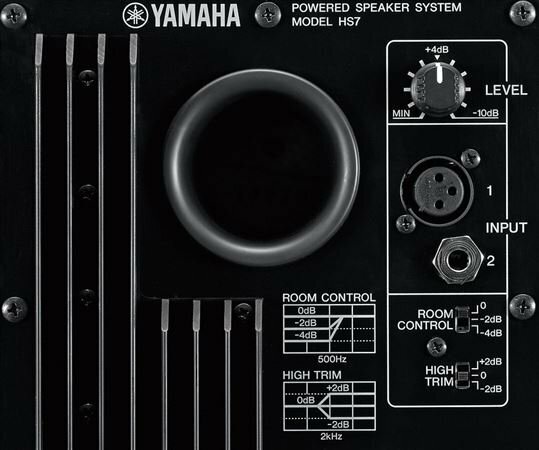 The Yamaha HS series were designed to be true studio reference monitors in the tradition of the legendary Yamaha NS10M.Whether you're mixing for stereo or 5.1 surround, mixes that sound good on Yamaha HS series reference monitors will translate accurately to the widest possible range of reproduction systems . The HS Series including the HS7 features newly developed transducers that achieve astonishingly smooth response over a wide range of bandwidth. These transducers utilize an advanced magnetic field design that regulates the flow of magnetic response to provide seamless, natural sonic transitions. Each component's materials and design were carefully re-examined, then optimized, to drastically improve the accuracy of signal reproduction throughout the audio spectrum. These speakers are everything I wanted and more. 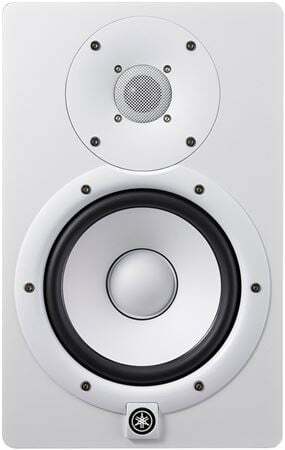 Not too much lows, not too much highs, these speakers are well-balanced. Great quaility. If you want extra bass, I recommend ordering an additional subwoofer. these speakers are the best I love the sound quality and the black color I think there awesome for the price. I made the upgrade from KRK Rokits to these guys and the difference is massive. A good way to explain is like it makes your sound 3D, and you can place everything in the mix! My only advice is you may need to take some time to Tune your ears to the speaker, I found that my ears are so used to the rokit that I was mixing according to that speakers. If you are serious about mixing these are a great choice. I’ve used Rokit 5/8’s, dynaudio bm5mkii, aventone, and now these, so far these HS7’s are the best! Great low end and clarity. Everything I asked for and more! I can hear the music quality clear as day! I would definitely buy these again! Been wanting these for a while. Love them. BEST monitors I've ever had. Very true to your mix, and they have the best sound I've ever had in home studio monitors. My only issue, at times is the sweetness to be a little interference when i get my phone too close to them. But other than that, I would definitely buy these again and for the next guy. Will be getting the sub to go with it next. These monitors make you feel in the "MIX" with true flat EQ response you'll definitely be able to dial in on the dynamics for whatever you are mixing. Bought these looking to upgrade a set of old Mackies. These are exceptional monitors and allow you to better hear all individual instruments in the mix. They are bright and articulate but do not unnecessarily color the tone of your mix/instruments. 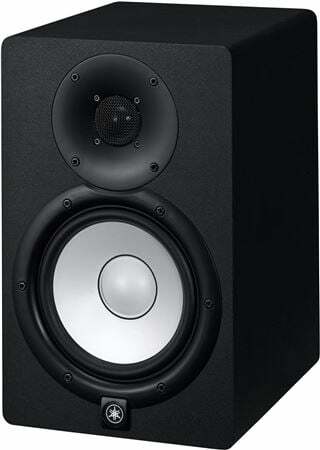 If you are looking for awesome and straight to the point studio monitors look no further, well worth the price. And American Musical Supply was superb with customer service and exceptionally quick shipping.